Recently I was setting up CRM for Outlook client on a existing environment that we took over. 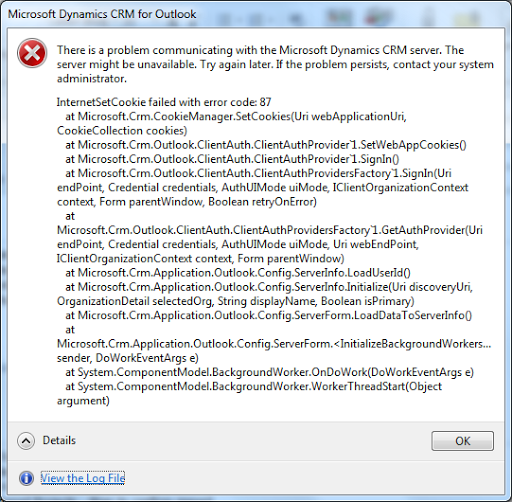 CRM for Outlook would always display the following error after entering the organisation url details in the configuration screen. Since CRM for Outlook cannot set the cookies, the client cannot be configured.